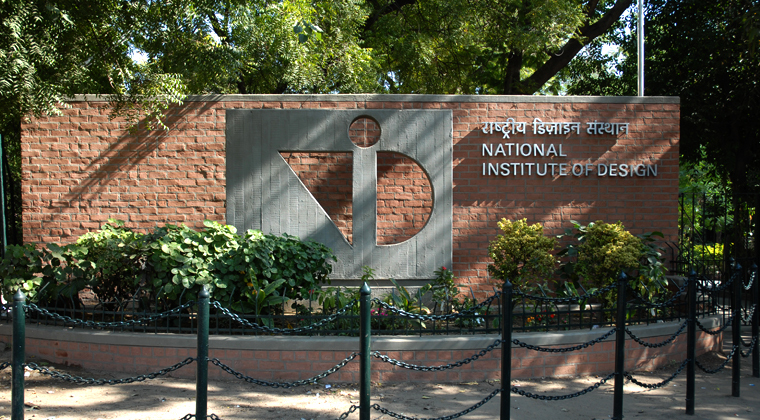 National Institute of Design (NID) Ahmedabad, functions as an autonomous body under the Department of Industrial Policy and Promotion, Ministry of Commerce and Industry, government of India. Department of Scientific and Industrial Research under Ministry of Science and Technology, government of India recognize NID as a scientific and industrial design research organization. As per the Business Week, NID ranks amongst the Top Design schools in the world. NID Ahmedabad every year conducts National Institute of Design (NID) Entrance Examination on all India basis so as to open the doorway for students who wish to seek admissions to various design courses offered by National Institute of Design, Ahmedabad, Gujarat. The Bachelor of Design is offered only at NID Ahmedabad and the duration is 4 years. For the academic session 2016-17, NID 2016 is scheduled to be held on January 10, 2016. The application process for the same kick-started on October 12, 2015 and will end on November 27, 2015. NID Design Aptitude Test (DAT) i.e. Stage 1 of the Exam will be conducted in 16 cities and Stage 2 & 3 i.e. Studio Test and Interview will be conducted only in Ahmedabad. Academic Qualifications: candidates who have passed or who will appear for Class 12 or equivalent examination irrespective of the recognized Board in the academic year 2016 are eligible to apply. Age Limit: Upper age limit for candidates is 20 years (relaxable by 3 years for reserved categories) as on July 1, 2016. For General Category: The candidates born before June 1, 1996 are not eligible. For Reserved Categories: The candidates born before June 1, 1993 are not eligible. Interested candidates can apply Online at the official website before November 27, 2015. From this year on-wards NID has done away with Offline Application system. Ahmedabad, Bengaluru, Bhopal, Chandigarh, Chennai, Dehradun, Guwahati, Hyderabad, Kolkata, Lucknow, Mumbai, Nagpur, New Delhi, Ranchi, Thiruvananthapuram and Vijayawada. The Hall ticket or Admit Card for DAT will be available for download on the official website from December 24, 2015 whereas the Admit Card for studio test and Interview will be available from February 29, 2016. The question paper will consist of both objective and subjective type questions. The Final Merit list will be displayed on the official website on May 31, 2015. The final Merit List will be prepared category wise and on the basis of DAT, Studio Test and Interview.